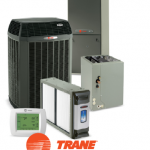 Every home heating system has different requirements. With Good Deals Heating & Cooling team’s knowledge and thorough HVAC experience we can deliver what you need quickly and efficiently. 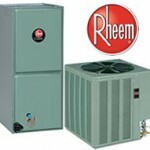 We provide personal heating repair service with exceptional quality. Put your trust in Good Deals Heating & Cooling. plus many more, just ask us about your unit. Great work and wonderful customer service! I have worked in the building/construction industry for quite some time and Good Deals Heating & Cooling has by far been the best company to work with. Their prices are great and they are very accommodating, even if it’s a last minute emergency, they will make it work! Rob and the other people whom I have met with are more then helpful, they always thoroughly explain the situation and how it is being fixed, and are great with following up to make sure everything is working properly. You can’t beat the customer service. I would highly recommended them to anyone who needs heating and cooling services of any kind! Six stars! AC broke just when the temp hit 95 and Rob came over asap. I knew what prices were out there from the year prior when I had it repaired, so when Rob started to tell me my options, I knew right away that his prices were the best. Since Rob had a good inventory, less than 24hrs later the technician was doing the install. Completely professional, even took the time to explain everything he was doing since I’m that guy that hangs around to see whats happening. Rob checked in on the job to make sure all was well, AND they followed up a few days later to verify that I was comfortable and the unit was working properly. When does that happen anymore – really really great service; 5 stars, totally recommend! Great Job on ac! My house is the perfect temperature now. Couldn’t have survived without you guys! Bless you all! This company did an excellent job on my A.C. Unit. Albert and his team did a fantastic job. He was so helpful, he explained everything that was going on and how he was going to fix it. They were done before I knew it!! They were friendly and had GREAT CUSTOMER SERVICE! I’m referring everyone I know to this company!! I know who I’m dealing with in the future if I need HVAC help!! Thank you Albert!!! !